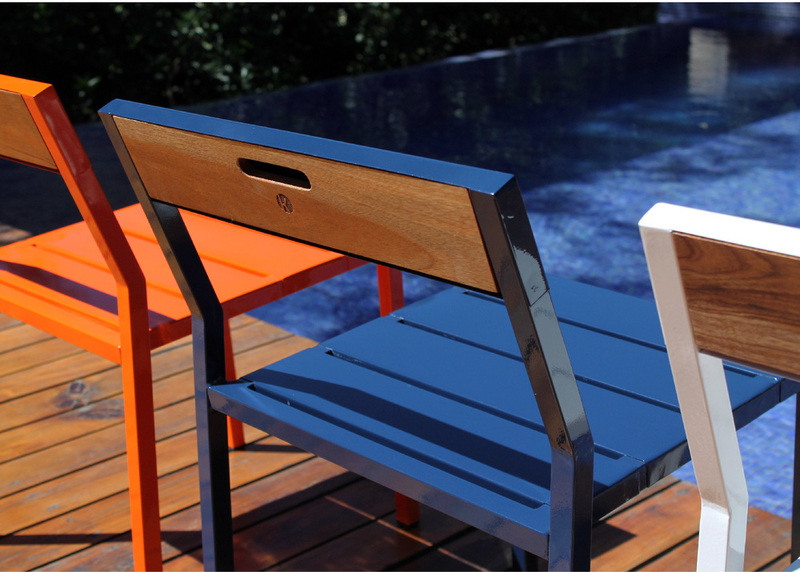 Bent and welded stainless steel sheet and stainless steel tubing, powder coat base and polyurethane finish. Solid wood panel for easy carrying. 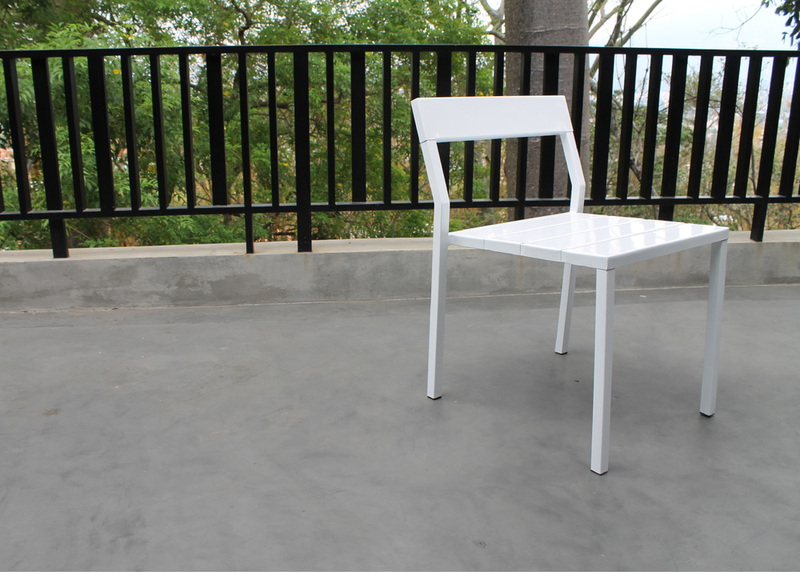 The TL1 chair comes in a variety of colors and is finished to withstand outdoor use. The chair may be dressed with one of several cushion options available. All cushions are sold separately.